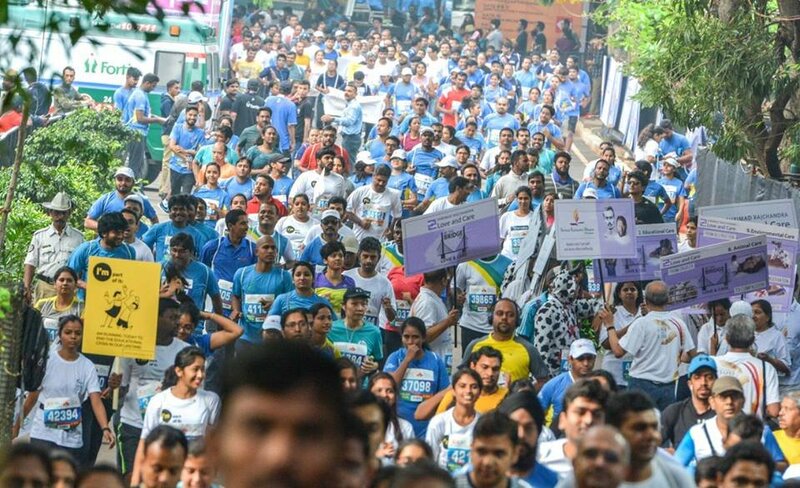 The Corporate Cares fundraising category for the Tata Steel Kolkata 25K 2018 lends companies an opportunity on one hand to monetarily support an NGO of their choice and on the other hand to sponsor employee teams to participate in the Event. Bal Utsav, as an empanelled, participating NGO with India Cares Foundation for the Tata Steel Kolkata 25K 2018, look forward to your donations/ contributions in making this partnership for education, a grand success. Team 15: A company makes an upfront non-refundable contribution of Rs 1,50,000 in favour of Bal Utsav and fields a team of upto 15 employees. Team 25: A company makes an upfront non-refundable contribution of Rs 2,50,000 in favour of Bal Utsav and fields a team of upto 25 employees. Team 40: A company makes an upfront non-refundable contribution of Rs 3,50,000 in favour of Bal Utsav and fields a team of upto 40 employees. Team 100: A company makes an upfront non-refundable contribution of Rs 5,00,000 in favour of Bal Utsav and fields a team of upto 100 employees. Regular communication from Bal Utsav. Meetings with team leaders to give Event updates, pledge raising tips, standardized presentations which they can use to motivate their team members (on request). 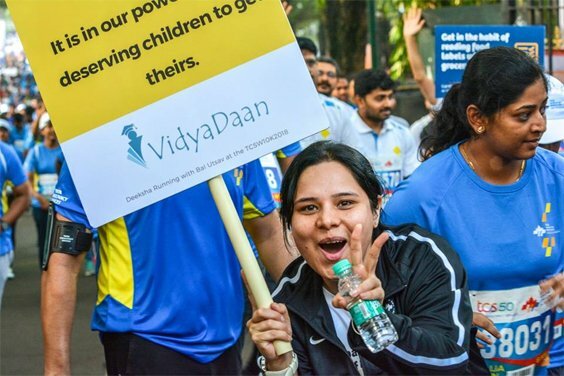 Companies who complete the process of registering, making donations and run registration payments by 15th November 2018 will have their name printed on their Team’s running bibs (only Anando Run bibs). Team members participating in all race categories will be hosted in a special Corporate Cares tent at the event venue on race day. Visibility for company and CSO supporting inside the Corporate Cares tent. Relay of live telecast of the Event at the Corporate Cares tent. MD or CEO of top 2 fund raising companies of TSK25K 2018 will be hosted at the Grand Stand on race day to cheer their participating team, provided the company is participating at TSK25K 2018. Race day photographs for top 2 fund raising members in a Corporate Cares team (where captured by event’s official photographers, www.marathon-photos.com). To be eligible for this, the team member must have raised a minimum of INR 25,000/- for his/ her chosen cause ( here Bal Utsav ) on or before 30th Nov 2018. Team acknowledgement in the docket published post race day. An invitation for 2 for the Charity Awards function (post event) to company’s top management whose employees have raised a minimum of INR 1,00,000/- funds through the TSK25K 2018. Company name listed in the three days Get Active Expo at India Cares stall. For Runners’ Registration Process, the Company has to be registered and the running members registered as the second step. Do fill-up this Quick Contact Form and send it across to have our dedicated Team guide you personally through every step of the way.We thank you for interest in Bal Utsav and your commitment to run for education. Donations Structure for Corporate Cares.